Mandy sometimes goes back in his groove and thinks, broods, opines, criticises, condemns, praises situations, incidences and people around him. He takes critics lightly but their criticism seriously :) so if you have any suggestions shoot and comment on his blogs. Digital Social Networks over conventional publishing platform !! We have seen rise of Social Networks in India not more than last five years. People started using Facebook, Twitter, Linked in, Slide Share etc. to keep their friends informed about whats happening in their public as well as private life by using these social networks. At certain point in time in the past suddenly Social Networks went viral and now you will find every fifth person using internet on at least one of these social networks. 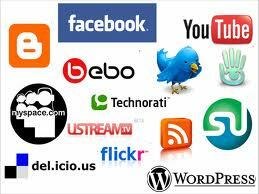 Following are some of the important characteristics of social networks. Land full of Dichotomies !!!! We the people of this land are full of dichotomies. Since last many days I am thinking on this post and the more I started thinking I got more evidences of this phenomena which I believe now is very deep rooted in our society. We criticise politicians and government officials for being corrupt and being manipulative and promoting dynasties in politics. What we do in our daily lives is no different than what our politicians do. When we jump the signal we happily pay 100 bucks to the cop not insisting on receipt of the penalty.